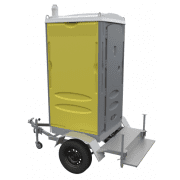 Trailer toilets have become very popular to hire because they provide an immediate “solution”for the requirement for sanitary amenities at a small function an event, or a large gathering, for any period of time, for any reason. 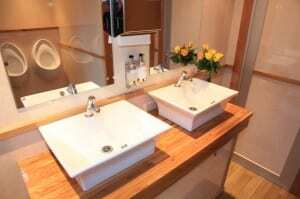 The key phrases “Luxury Mobile Toilets” has nearly be a well-liked phrase in Dubai and all over United Arab Emirates, and also at any kind of outside wedding event it’s not unusual to obtain the eco-friendly skirted truck along with aluminium actions and expensive interior with oak surface finishes, precious metal or chrome faucets as well as calming music. 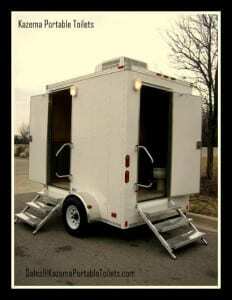 Large Event Mobile Toilets can also be found services, which are often more practical with separate trailers for males and ladies and made with bigger doors as well as for the handicapped. 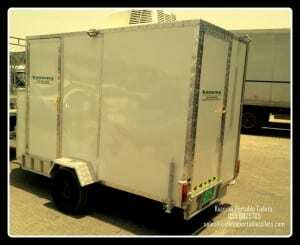 Trailer mounted toilets in Kazema Portable Toilets comes with 2 mini rooms fitted luxuriously with all amenities including Western type W/C and flushing system, handwash basin, shower, lights, exhaust fan etc and a seperate water tank with pressure motor and a huge waste tank which will cater to the days need. It is easy to mount to a 4×4 and take it anywhere.